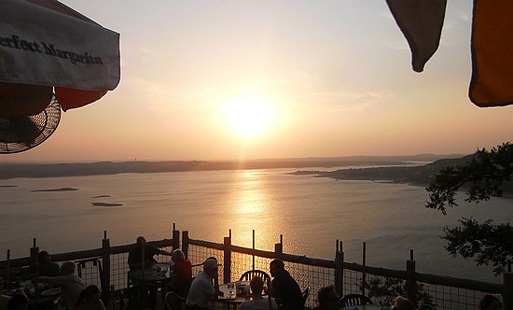 Most Austin area residents know that the Oasis is the place to go for sunsets and margaritas. It’s the best destination to take your in-laws, your out of town boss, and any other tourist and show off our scenic Texas views. Now, the Oasis is the new destination for … winter sports??? That’s right! 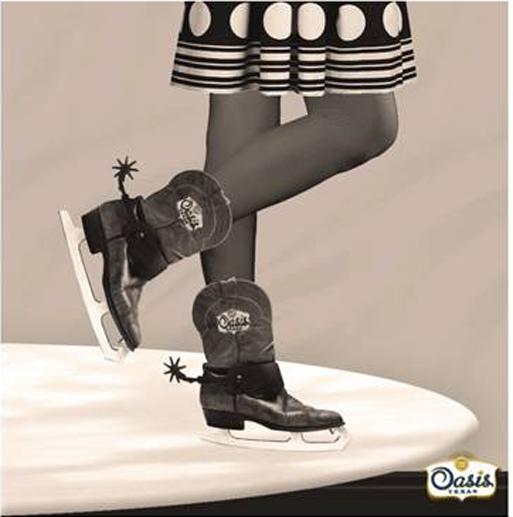 The Oasis is hosting it’s first ever “Holiday on Ice” featuring a 1760 square foot ice rink. You can discover your inner Sahsa Cohen every day of the week through December 2011. For a schedule of hours and more information visit the Oasis website. Grab your scarf, coat and spurs and head out and enjoy an amazing sunset on ice.